Image Resizer. To resize your images it is as simple as 1, 2, 3, 4, 5! Shrink Pictures has allowed us to use there image resizer software on our website. When to resize a picture, sometimes you need to resize your picture to fit in a given space, or to be sent through email without being bounced for being too large. You may also need to perform a picture resize if a forum or blog requires that your “avatar” picture be set to a certain height and width. Other times, it can be useful to resize a picture for a website rather than using the tag’s width and height attributes. If you use the tag to scale an image, you may be using up bandwidth sending a large picture that is only going to be resized anyway. Resizing the picture to its final dimensions can also significantly decrease the amount of time it takes to download the picture on your website, helping your site to load quicker, and get better ranking’s on search engines, since the image file size will be smaller. 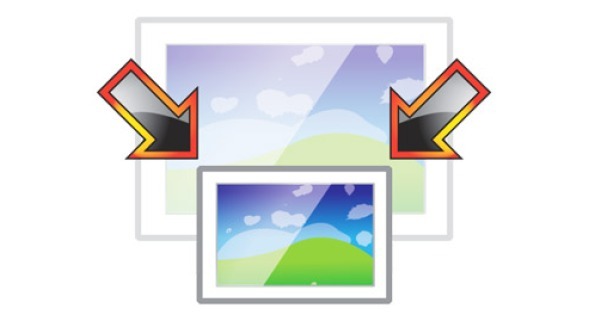 Always use a image resizer to resize images before loading on to your site. Once you have shrunk your picture to the required size before you upload the image to your site you should then use the image optimizer. Smush.it. uses optimization techniques specific to image format to remove unnecessary bytes from image files. It is a “lossless” tool, which means it optimizes the images without changing their look or visual quality. After Smush.it runs on a web page it reports how many bytes would be saved by optimizing the page’s images and provides a downloadable zip file with the minimized image files.